When Ronald Reagan turned his back on the neoconservatives, fired them, and had some of them prosecuted, his administration was free of their evil influence, and President Reagan negotiated the end of the Cold War with Soviet President Gorbachev. The military-industrial complex, the CIA, and the neocons were very much against ending the Cold War as their budgets, power, and ideology were threatened by the prospect of peace between the two nuclear superpowers. I know about this, because I was part of it. I helped Reagan create the economic base for bringing the threat of a new arms race to a failing Soviet economy in order to pressure the Soviets into agreement to end the Cold War, and I was appointed to a secret presidential committee with subpoena power over the CIA. The secret committee was authorized by President Reagan to evaluate the CIA’s claim that the Soviets would prevail in an arms race. The secret committee concluded that this was the CIA’s way of perpetuating the Cold War and the CIA’s importance. The George H W Bush administration and its Secretary of State James Baker kept Reagan’s promises to Gorbachev and achieved the reunification of Germany with promises that NATO would not move one inch to the East. The corrupt Clintons, for whom the accumulation of riches seems to be their main purpose in life, violated the assurances given by the United States that had ended the Cold War. The two puppet presidents – George W Bush and Obama – who followed the Clintons, lost control of the US government to the neocons, who promptly restarted the Cold War, believing in their hubris and arrogance that History has chosen the US to exercise hegemony over the world. Thus was mankind’s chance for peace lost along with America’s leadership of the world. Under neocon influence, the United States government threw away its soft power and its ability to lead the world into a harmonious existence over which American influence would have prevailed. Instead, the neocons threatened the world with coercion and violence, attacking eight countries and fomenting «color revolutions» in former Soviet republics. The consequence of this crazed insanity was the creation of an economic and military strategic alliance between Russia and China. Without the neocons’ arrogant policy, this alliance would not have existed. It was a decade ago that I began writing about the strategic alliance between Russia and China that is a response to the neocon claim of US world hegemony. Europe is dependent on Russian energy. Russia can cut off this energy. There are no alternatives in the short run, and perhaps not in the long run. If Russia shuts off the energy, Germany industry shuts down. Europeans freeze to death in the winter. Despite these facts, the neocons have forced Europe to impose economic sanctions on Russia. What if Russia responded in kind? Thanks to the greed of US corporations that boosted their profits by outsourcing their production to China, China is modernized many decades before the neocons thought possible. China’s military forces are modernized with Russian weapons technology. New Chinese missiles make the vaunted US Navy and its aircraft carriers obsolete. Last August a joint Russian-Chinese sea and air exercise took place in the Sea of Japan, making it clear to America’s Japanese vassal that it was defenseless if Russia and China decided so. 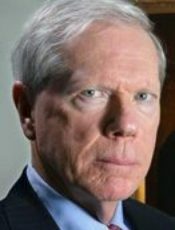 The only achievements of the American neoconservatives are to destroy in war crimes millions of people in eight countries and to send the remnant populations fleeing into Europe as refugees, thus undermining the American puppet governments there, and to set back the chances of world peace and American leadership by creating a powerful strategic alliance between Russia and China.